THICKER: 4.0m Made for “HIGH TRAFFIC AREAS” EZ FAUX DECOR Film is Top Quality Premium PVC, PET self-adhesive Film (not flimsy shelf liner paper). Most competitors are 2.4m thick and will not hold up over time. 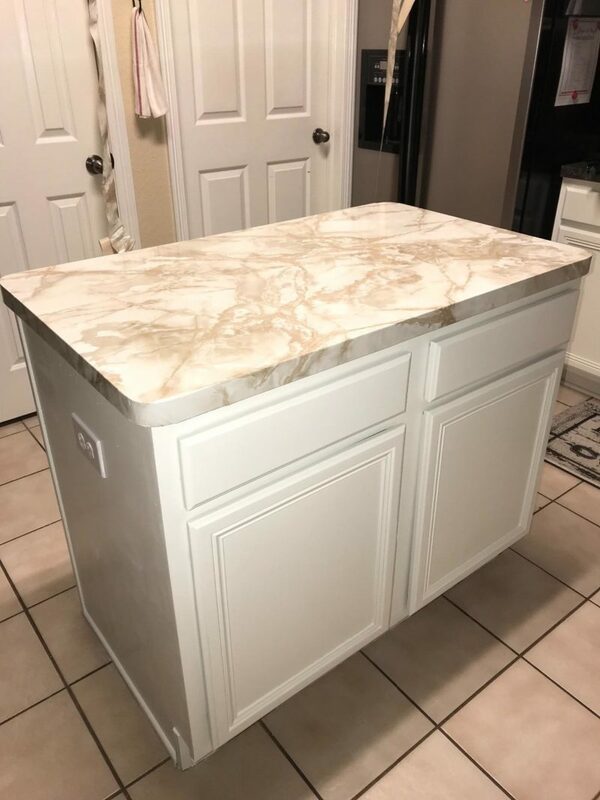 Use on kitchen counters, ceramic tile, laminate counter top, backsplash, bathroom vanity, cabinets, furniture, notebook, dresser drawer, crafts, bedside table, bookcase, shelf, door even wall. Great for apartments, leases, rental. Can be removed no sticky residue. 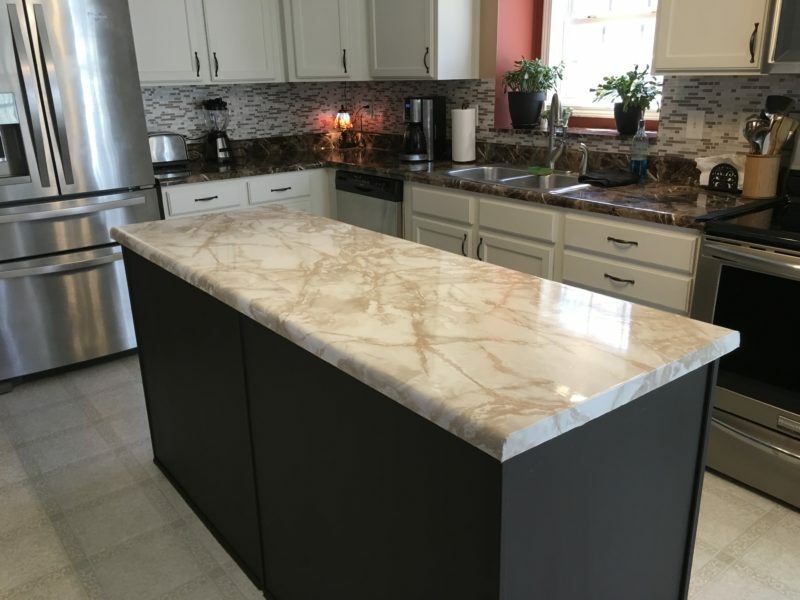 DURABLE: EZ FAUX DECOR Film has a 5 step process with a high gloss top coating for protection against Heat (up to 240 degrees), Fade, Scratches, Water, Tears and Bubble Resistant. The vinyl is removable without sticky residue. High quality and realistic look. Self-Adhesive PVC and PET Film is manufactured in an ISO 9001 Certified Facility which provides high qualityproduct consistently. SAFER: Eco-friendly water-soluble adhesive and are non-toxic Because we take the health of our Customer and Family Serious that is why our products have optimum antibiotic powers of 99.9% and NON TOXIC water based self adhesive with a peel away backing and measure grid lines for easier install. NO GLUE, NO PAINT NEEDED. Produced from recycled plastics in an ISO Certified Facility. COMPLEMENTARY SAMPLE: We will send you sample swatch upon request via Amazon and Compare why EZ FAUX DECOR (Est:1999 USA) has been on: The Rachael Ray, QVC ,Today Show, HGTV, DIY, Steve Harvey Movies ,TV, Theater. Why? Its Safe, Realistic Looking, No Odor, No smell. EzFaux Decor’s Bubble Resistant Self Adhesive PET/ PVC Film has a peel away backing with measure and grid lines to make it easy for YOU to install. The vinyl is removable without sticky residue. We also will send you sample swatches upon request. Feel free to contact us. EzFaux Decor’s Bubble Resistant Self Adhesive PET/PVC Marble Film is manufactured using a 5 step process. The PET/PVC Film has a transparent top coat for durability, printed image, durable base, a non-toxic adhesive is applied then the tear away baking. The adhesive allows Self Adhesive PET/PVC Faux Film to be repositioned during installation and removable without adhesive residue. 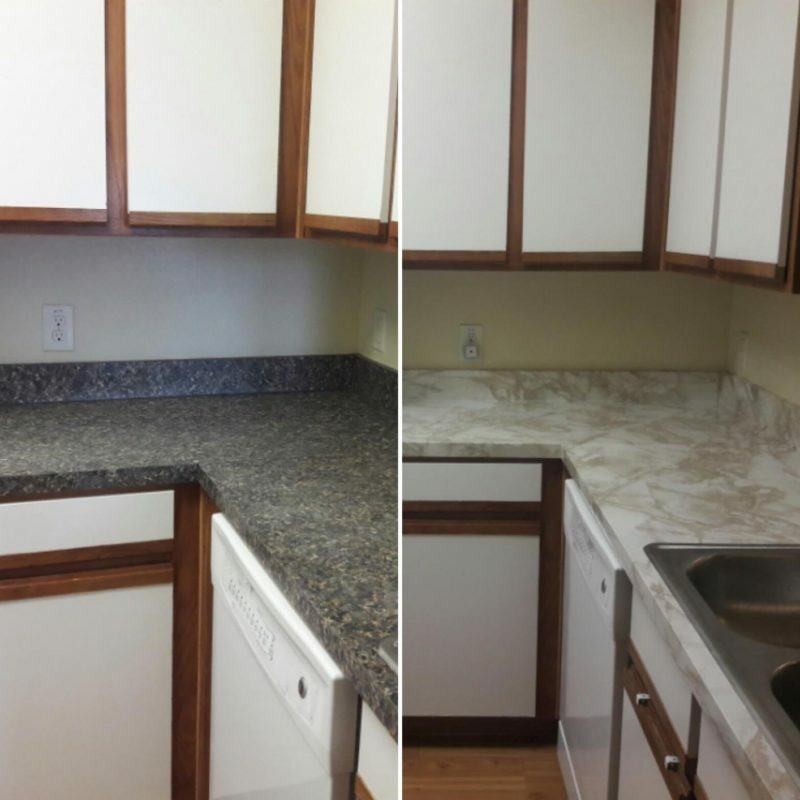 EzFaux Decor’s Bubble Resistant Marble PVC Film has been formally tested. Tear Resistant up to 330 pounds per yard. Stain Resistant for items such as grape juice, ink and wine. Wear Resistant. Heat Resistant up to 240F. Weather Stable for over 800 hours. Dimensionally Stable when exposed to hot and cold. 5 Year Warranty. Insist on the quality of EzFaux Decor Faux Films. Message us for sample swatches. Marble PVC Film has been tested using KSM Standards. Tear Resistant up to 330 pounds per yard. Stain Resistant for items such as grape juice, ink and wine. Wear Resistant Heat Resistant up to 240F Weather Stable for over 800 hours. Dimensional Stable when exposed to hot and cold.